Thumbay Hospital – Dubai, the leading academic hospital under Thumbay Group’s Healthcare Division has signed an expansion project with Thumbay Builders, for a substantial expansion of its facilities. 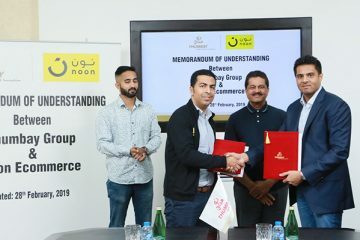 The agreement was signed at Thumbay Medicity recently, by Mr. Akbar Moideen Thumbay – Vice President of the Healthcare Division of Thumbay Group and Mr. Akram Moideen Thumbay – Director Operations of Construction & Renovation Division and Director of Thumbay Technologies, in the presence of Dr. Thumbay Moideen, Founder President of Thumbay Group. The expansion includes the addition of over 13,000 square meters of built-up area by expanding the existing ground and first floor areas, as well as the addition of a new 4-storey building (ground + three floors) with advanced facilities. New inpatient rooms, OPD clinics, treatment rooms and dental clinics would be added to the existing building. A new Cath Lab, VIP patient room, ICUs and CCUs would also be added. The new building would house a crèche, mortuary, pharmacy, restaurant, VIP lounge, day care beds, Standard/Deluxe/VIP patient rooms, women’s consultation rooms, LDRs, NICU, Well Baby Nursery and isolation rooms. 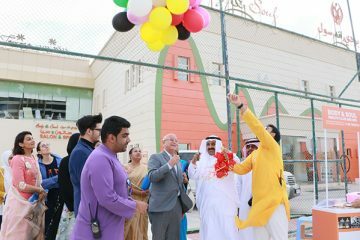 The project also involves expansion of the hospital’s parking facility and addition of service areas and children’s play area. The project will be completed in phases. Dr. Thumbay Moideen said that the expansion project of Thumbay Hospital Dubai is part of the Group’s strategic plans which includes having a total of 1000 beds in the UAE, 1500 beds in India and 750 beds elsewhere in the Gulf and Africa by 2023. 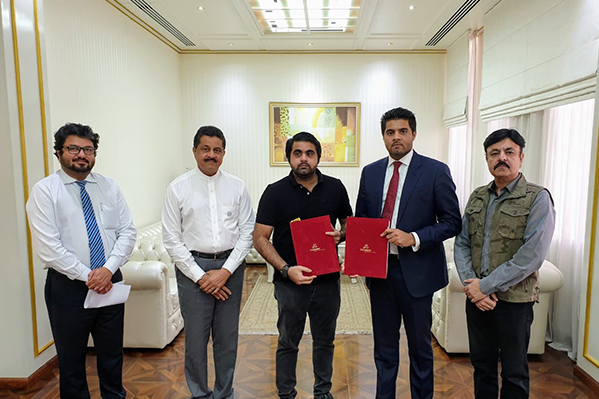 Mr. Akbar Moideen Thumbay said that the expansion would enable Thumbay Hospital Dubai to provide more and better services, considering its growing number of patients and the rising demand for high-quality specialized treatments. 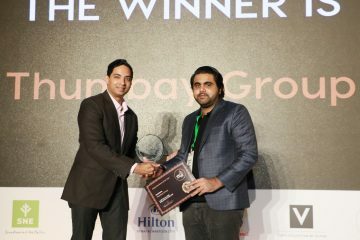 Speaking about the project, Mr. Akram Moideen Thumbay said that Thumbay Builders is keen to consolidate its reputation as specialized builders of world-class healthcare facilities. “We always focus on integrating the latest technology with the efficient use of resources, delivering unmatched customer satisfaction. With our team of expert professionals and latest technology, we are confident of completing the project on time, within the budget,” he added. The Thumbay network of academic hospitals is the largest network of private academic hospitals in the Middle East, treating patients from around 175 nationalities. It is also one of the biggest JCI-accredited private academic hospital networks in the region. Thumbay Group’s healthcare division also operates a chain of family clinics (Thumbay Clinic) and multispecialty day care hospitals (Thumbay Hospital Day Care) in the UAE as well as diagnostic labs (Thumbay Labs) and pharmacies (Thumbay Pharmacy) in the UAE and India. The hospitals and clinics are presently located at Dubai, Ajman, Sharjah, Fujairah, Ras Al Khaimah and Umm Al Quwain in the U.A.E. and in Hyderabad—India. Thumbay Medical Tourism, which promotes Thumbay Group’s ultra-modern healthcare services to international patients, is tied-up with 87 countries through representative offices. Thumbay Medicity established by Thumbay Group is a hub of medical education, healthcare and research, and houses the Gulf Medical University, Thumbay Labs, Thumbay Pharmacy, Blends & Brews Coffee Shoppe, Body & Soul Health Club and Spa, Thumbay Food Court, Thumbay Housing Project, Theatre, Center for Advanced Simulation in Healthcare (CASH), Thumbay Research Institute for Precision Medicine (TRIPM), Central Library, Research Center, Free Parking, Public Bus Station, Supermarket, in addition to Thumbay Dental Hospital and Thumbay Physical Therapy and Rehabilitation Hospital. A 500-bed academic hospital – Thumbay University Hospital – the largest private academic hospital in the region is at the final stages of completion at Thumbay Medicity, slated to open shortly. The specialized hospitals of Thumbay Medicity are Academic Health Centers of the Gulf Medical University Academic Health System (GMUAHS).